Horseman in the Sand Sea at the foot of the smoking Bromo volcano. - O. Kurkdjian & Co.
Wind-rushed palms on the beach, workers happy and relaxed in the paddy fields, a contented population under a scorching tropical sun; from 22 September 2011 to 15 January 2012 the Tropenmuseum presents Kurkdjian & Co Photo Studio (1888-1936). 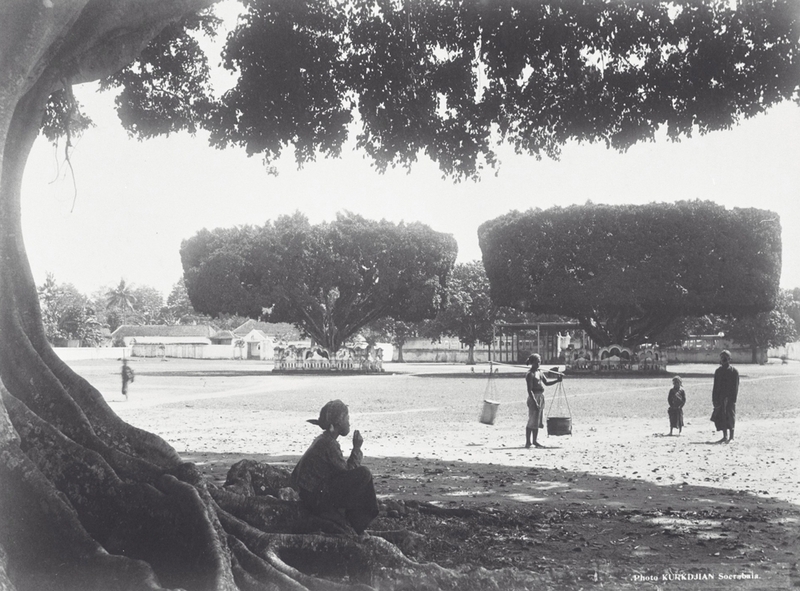 An exhibition of over a hundred photos depicting the Dutch East Indies as a tropical paradise; seductive and at the same time deceptive. At Ohannes Kurkdjian’s famous studio they left nothing to chance; in many cases the photographed scenes were entirely staged. 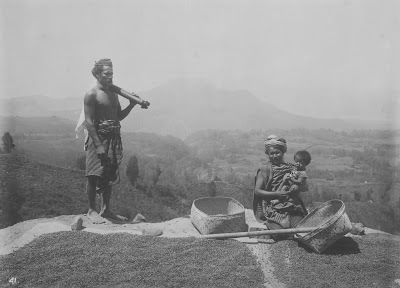 The photos offer an opportunity to take a critical look at image of colonial life in the late nineteenth and early twentieth century and how this has been interpreted over the years. Ohannes Kurkdjian, who founded the photo studio, was originally Armenian. 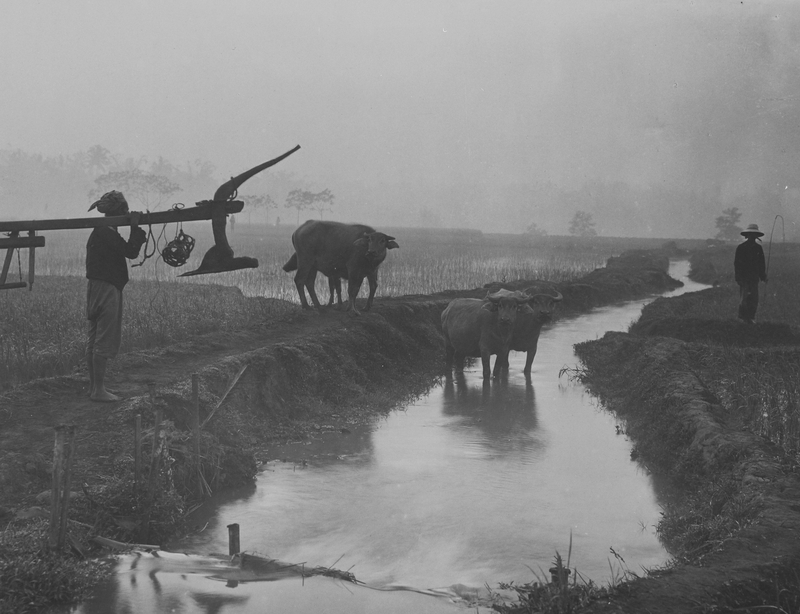 He and his assistants and pupils photographed businesses and plantations for private customers, companies and government. 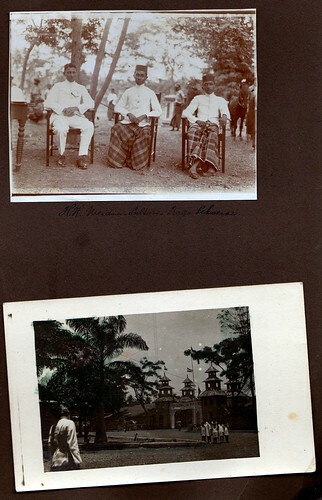 Their autonomous work - photos of landscapes and major events such as the coronation celebrations in Surabaya in 1898 and the eruption of Kelud volcano (Java) in 1901 - became tremendously popular and gained a wide following; their pictures appeared in numerous publications and educational posters for schools and found their way into countless photo albums as a souvenir of a stay in the East Indies. Meticulously structured images At Kurkdjian & Co they were expert at selecting, staging and manipulating. The meticulously constructed pictures present a world in which people worked hard, but without the blood, sweat and tears. The natives posing for the camera appear content and prosperous, yet also exotic and romantic. Life as colonial subjects seems to agree with them. Exposure and reflectionThis exhibition provides an opportunity to reflect on this image of colonial society in the late nineteenth and early twentieth century and its interpretation over the years. 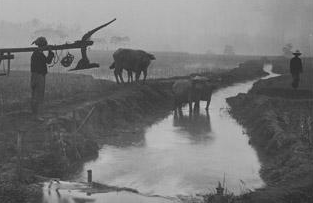 By examining how Kurkdjian & Co manipulated reality and by looking critically at the way the pictures are composed - reflecting the traditions of nineteenth-century Romantic painting - the show offers a different perspective on this idyllic image of Dutch East Indies. 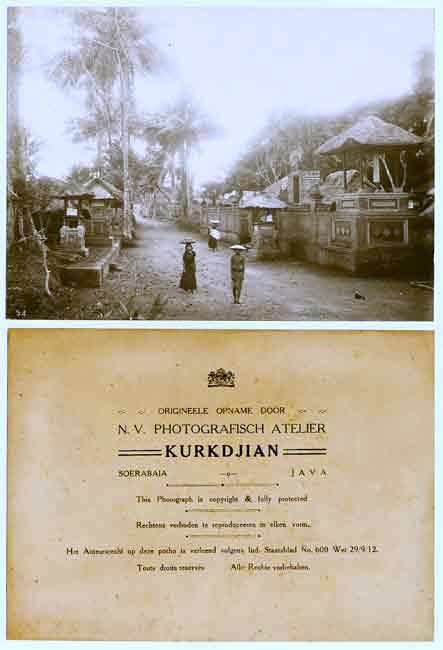 Kurkdjian & Co Photo StudioOriginally from Armenia, photographer Ohannes Kurkdjian (1851-1903) came to the East Indies in 1886 after travelling widely in Europe. 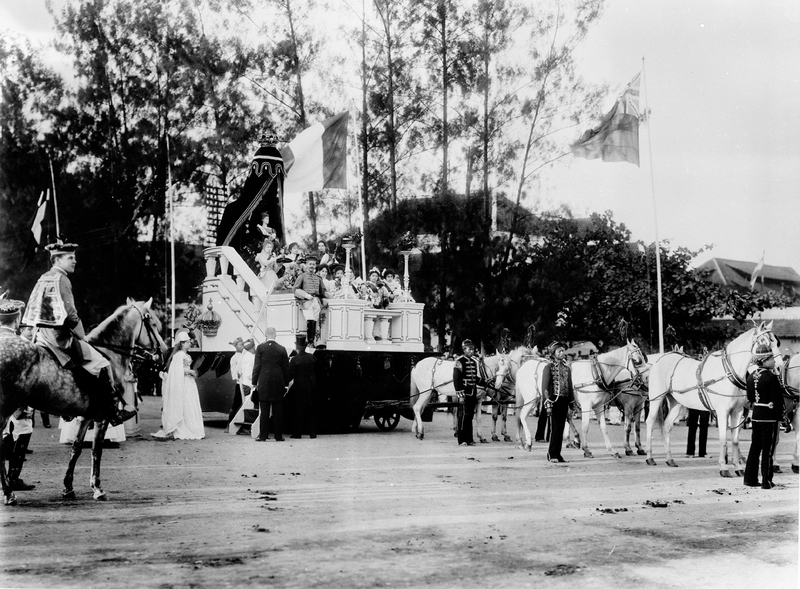 In 1888, he opened a studio in Surabaya. It was a huge success. After Kurkdjian’s untimely death in 1903, his assistants and pupils kept the studio open. They and other photographers continued Kurkdjian’s perfectionist manner of photographing in which nothing appears to be left to chance. 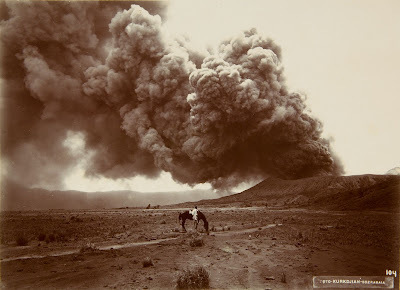 In a sense, he created his own school of photography with his staged depiction of colonial life. 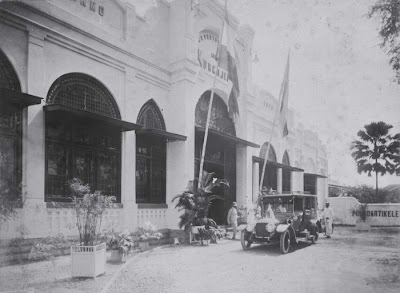 His name continued to be linked to the flourishing studio in Surabaya until 1936. Photos sold by the studio can today be found in countless museums and private collections in the Netherlands and abroad. The coronation of Queen Wilhelmina during the parade in Surabaya on the occasion of the coronation celebrations of Queen Wilhelmina in 1898. Rice fields near Yogyakarta, at the foot of the volcanoes Merapi and Merbabu. Left: a farmer who carries a plow on his shoulders, in the middle: cattle crossing a ditch / cooling of in the ditch. 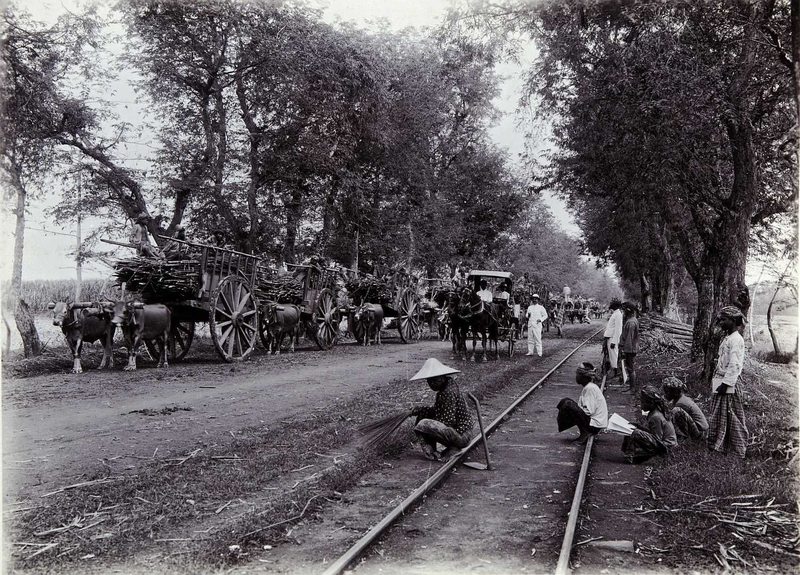 Transport of harvested sugar cane by ox-wagons at the sugar factory Ketegan. Soerabaja. Waringin trees at the alun-alun in Yogyakarta.